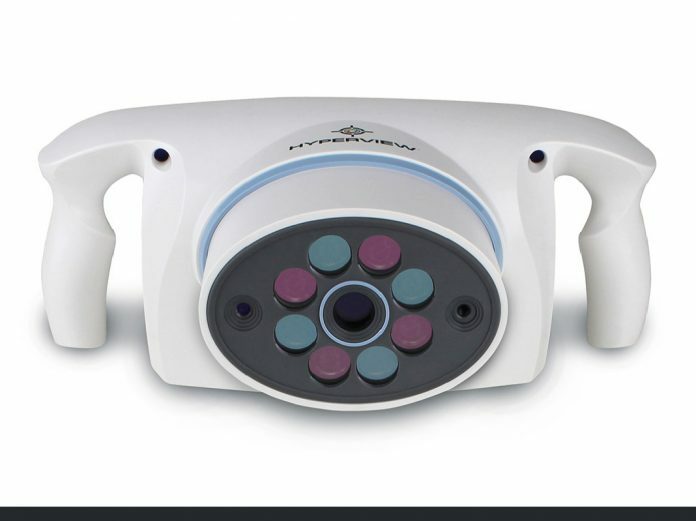 HyperMed Imaging Inc. has announced that the company is now offering its new HyperView Imaging System for sale to customers in the United States. The HyperView System is FDA cleared, and is a fast, handheld, battery operated, non-invasive and portable diagnostic imaging device that is used to assess tissue oxygenation without contacting the patient and without the need for injectable contrast. The system uses proprietary technology to capture color-coded images containing data that provides the clinician critical information such as oxyhemoglobin levels (Oxy), deoxyhemoglobin levels (Deoxy) and oxygen saturation (O2Sat) in superficial tissue. Such information may assist clinicians when determining if a patient has adequate blood perfusion to heal a wound or maintain healthy tissue. Understanding both arterial and venous sufficiency in the surface tissue may enable clinicians to make more informed decisions regarding when to intervene. The HyperView system also helps document perfusion levels before and after vascular interventional procedures such as: peripheral bypass, stent placement or balloon angioplasty.